Recently I was running research investigating brand positioning. It’s the sort of work where the words used a really important – there weren’t any additional pictures for context or stimulus. Just the words. And one word used was inspiring. This particular brand, which we shall say for confidentiality’s sake is a fictitious cake mix brand, was promising to inspire people. The next thing she said (once she’d calmed down a bit) was the really interesting bit though. “What they should do is tell me how to use it”. “It’s a cake mix”, I said, risking coming over as extremely dumb. “I know…” she replied, elongating the vowel a bit and in so doing confirming her view that yes, I am dumb, “but what they don’t do is tell me how I can really use it”. She elaborated. Sure, it’s a cake mix and yes, you’d expect to find it in the cake mix aisle, but ultimately it’s some flour and raising agent. What else could it be used for? How quickly can I make a cake with this versus making one from scratch? Is it less messy? Are there any healthier elements? Are the cakes lighter? Can it be used for Yorkshire puddings? Or to make trifle sponges? Is it great for young cake makers? Or what about cupcakes? Or cake pops? Essentially, this lady was telling me that she was willing to be sold to, providing the communication was adding value to her life. Show me how to use it. Give me a few handy tips for this product. Sell me the benefits and perhaps help me feel like a better mum. Help my kids make the first steps into baking and a little early independence and self-esteem. And it struck me that typically this sort of thing is ‘back of pack’. The ‘filler’ that, well, fills the space next to the barcode, twitter handle and ingredients. But maybe brands need to invert their thinking a bit and show that they really understand their consumers and are committed to helping them – rather than just give it lip service. Make the back of pack, front of pack a bit more. But of course, what she was really saying was: ‘inspire me’. 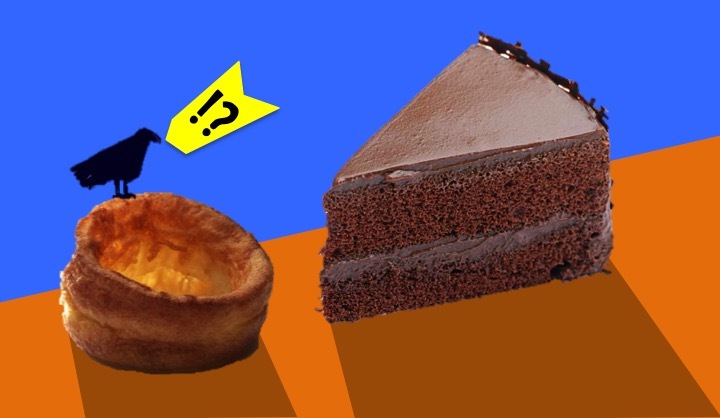 Posted in Research, Strategy and tagged Cake Mix, Clues, Hints, Inspiration, Yorkshire Pudding on March 26, 2015 by David Preston.